We Respect Your Privacy Please Contact Us If You Have Any Questions. 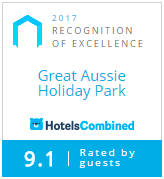 Great Aussie Holiday Park online privacy statement is intended to inform you of the ways in which this website collects information, the uses to which that information will be put, and the ways in which we protect information you choose to provide us. Use of this site is subject to all applicable state and federal laws. We endeavour to manage any data we collect from you in accordance with the GDPR where applicable. (2) information we collect automatically when you visit this website through cookies, third party tracking technologies and server logs. Our website will only collect personal information that you knowingly and voluntarily provide by, for example, responding to surveys, completing booking forms, sending emails etc. it is this website’s general practice to use personal information only for the purposes for which it was requested and any additional uses specifically stated on the website. However, information collected through this website may be subject to our obligation to respond to subpoenas or court orders. Although this website has security measures in place to protect personal information provided to us by users, users should also take steps to protect personal information by, for example, closing all web browsers after using the website. Information disclosed in forums, testimonials and similar contexts may become public. Users should therefore exercise caution before disclosing personal information in such contexts. When you engage in financial transactions at our website, you may be asked for a credit card number. Unless otherwise noted on the website, credit card transactions are processed and encrypted by third parties external to this website and the server that processes your credit card information is secure. Such information may also be saved by the third party in an encrypted format or in their own internal systems. This website does not process or otherwise store your credit card information in any way. You may correct, update, or remove the personal information provided to us through the use of the website by submitting a request via the ‘Contact Us’ link in the footer of this site. You have the option of disabling or not accepting cookies by changing the preferences on your browser. If you opt to disable cookies, you will still be able to use certain sections of our website. However, you will not be able to use any parts of this website that requires a login. Your questions, comments and concerns are always welcome. Please send us your feedback regarding the privacy statement or any other issues via our Contact Us form. This website uses a tracking technology called Google Analytics to obtain website usage information such as users’ Internet Protocol (IP) addresses, internet domain and host names, browser software, and the date and time that the website is visited. Data obtained through Google Analytics does not include and is not linked to any personal information. Data from Google Analytics allows us to monitor the use of this website, understand how users find our website and improve the website’s function and content. This website may contain links to other sites. Please be aware that we do not control or claim any responsibility for the privacy practices or content of such other sites. We encourage users to read the privacy statements of each website they visit. If we make changes to the privacy statement, we will indicate such here on this page. Neither Great Aussie Holiday Park, nor any of its employees, agents or individual trustees, shall be liable for any improper or incorrect use of information obtained through the use of this website. By using this website you consent to the terms of this privacy statement.